The HORIZON table formwork is designed to be used typically in large area slab concreting. 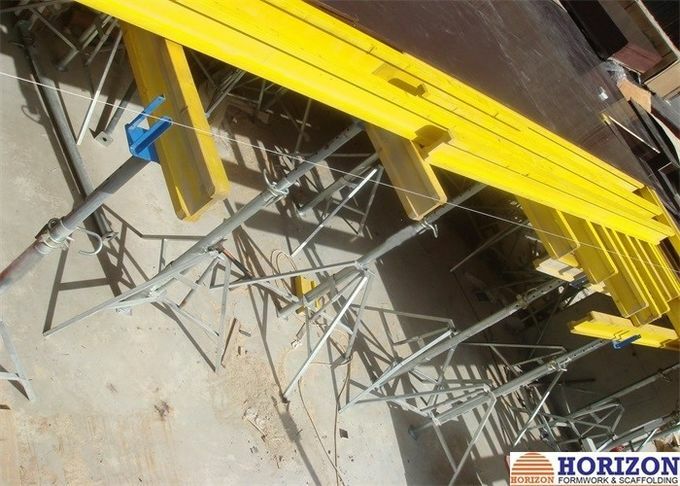 The tables can be shifted horizontally and vertically without being dismantled, which provides a cost-effective and efficient solution for the slab work on site. 1. The table formwork is assembled on site and shifted from on area to another without dismantling, thus minimising added risks in erection9 and dismantling. 2. Very easy assembly, erection and striping, which reduce labor cost. 3. Safety. Handrails are available and assembled in all the perimeter tables, and all these work are done at ground before the tables are put in place. 4. The table height and leveling is quite easy to adjust by means of adjusting props height. 5. The tables are easy to move horizontally and vertically with help of trolley and crane. 6. Can match well with doka and peri formwork systems.